In the United States, 56% of employers require pre-employment drug tests. Whether you need a drug test before starting a job, playing sports, or for any other reason, Dr. 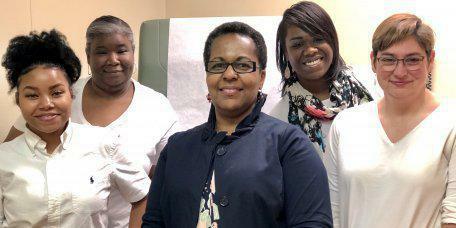 Crystal Brown at Brown Family Practice offers quick and convenient drug screening in the Fort Valley, Georgia, area. To schedule an appointment, call the office or book an appointment online. Alcohol is also sometimes included in screening tests, either through a urine sample or a breath test. According to the American Academy for Clinical Chemistry, a urine test usually shows amphetamine, cocaine, and opiate use over the past two or three days. Methadone, barbiturates, and benzodiazepines are detectable for about a week, and marijuana is detectable for up to several weeks. What can cause a false positive on a drug test? Poppy seeds and dextromethorphan, which is in some over-the-counter cough medicines, have been reported to cause false positive results for opiates. Decongestants such as ephedrine can cause false positives for amphetamines. Some antidepressants can also cause false positives. On the other hand, smoke inhalation from being in a room with people who are smoking marijuana will not cause a false positive, as the cut-off concentrations for lab analysis are set well above that which might occur for passive inhalation. What happens if my drug test comes back positive? If your initial urine test comes back positive, you may need to take another, more specific test called a gas-chromatography-mass spectrometry (GC/MS) to confirm the results. The GC/MS identifies individual drug substances and quantifies the amount of the substances. Using both the urine test and the GC/MS makes it so that there’s a meager chance of a false positive. If you need a drug screening or have any questions about certain drugs or medications, call Brown Family Practice or request an appointment online.